Vegans have got a good life in London. We can dine in fancy restaurants like Saf. How about cake delivered straight to your house? Sure thing. Vegan gourmet hot dogs are another treat and don’t even get me started about Cookies & Scream in Camden. Yes, life is grand. But there is always room for improvement and expansion. Enter food delivery service The Urban Kitchen. Before I dive into telling you how delicious the meal was I was sent to review, I would like to state up front that this caterer is not a vegan company. That being said, all of their vegan dishes are clearly marked online and they are very approachable people. If you are wondering about any ingredient or element of a dish, get in touch with them. I was sent the tempeh and rice noodle salad with a peanut and lime dressing. Have you ever eaten something that tastes like pure goodness and every bite feels as if it’s making you healthier? This salad was that something. My version came with black rice noodles instead of the regular rice noodles shown on the product page. I was simply delighted to be eating it. 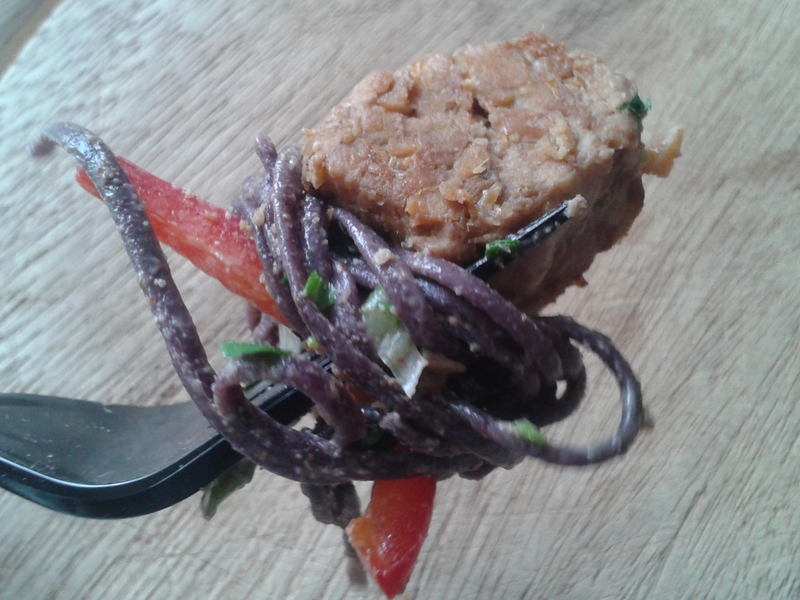 The dish was packed with vegetables flavoured to perfection and the tempeh was top class. Everyone knows I am more of a deep fried potato kind of FGV, but I would never turn my chubby nose up at something as delicious as this dish. 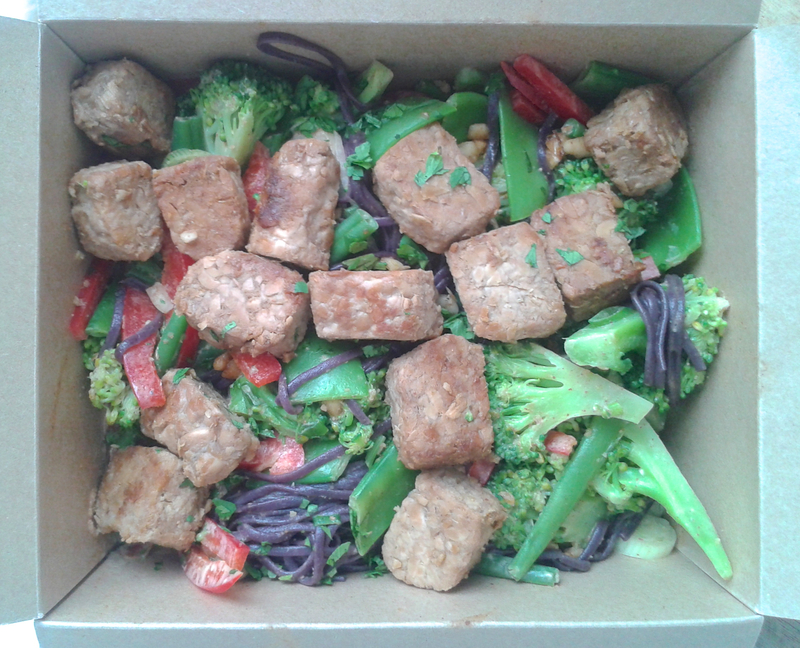 You can order any of the vegan dishes from The Urban Kitchen for delivery in central London. 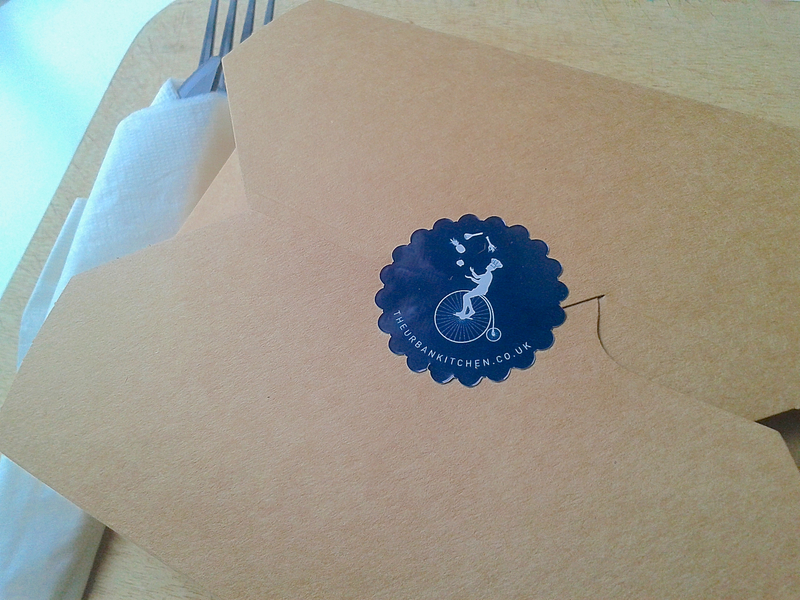 Check out their website and give these fine food specialists a try soon. I’d say they would be perfect for a special meal at home or an office lunch with a difference.